– After a tough qualifying session on Saturday, Spencer Pigot was finally confident in the quality of his No. 21 Autogeek Chevrolet after morning warm up. He was the fastest Chevrolet-powered driver this morning, but would not be able to showcase that speed. 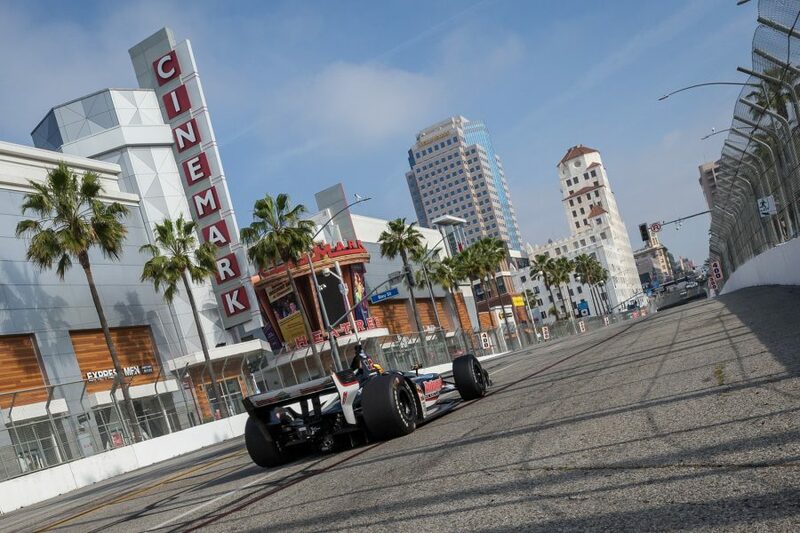 A first lap incident in the Acura Grand Prix of Long Beach collected Pigot, but with minimal damage, he was able to continue and finish the race in 18th. – On the opening lap of the 85-lap race, several cars in front of Pigot made contact in the tight Turn 2 fountain area. With nowhere to go, Pigot bumped a stopped car and his car stalled. By the time Pigot’s car was re-fired, he was one lap down to the field. The damage to the car necessitated a front wing change, which was completed on Lap 3 and Pigot rejoined the race. – Keeping pace with the front running cars, Pigot had raced his way back up to a position that would have had him able to regain his lap should a full-course caution come out. It looked like the break was coming as a car stalled in Turn 1, but it was handled as a local yellow. Pigot made his second full-service pit stop on Lap 28. – For the next stint, Pigot ran 20th. He selected reds for the closing laps of the race, making his final pit stop on Lap 55. After the entire field had come in for the last time, Pigot had moved up to 18th. He would not have the opportunity to gain his lap back as race continued caution-free until the checkered flag. – Ed Carpenter Racing has now shifted their focus towards the Month of May. Pigot will be joined by teammates Ed Carpenter and Ed Jones as all three will test at the 2.5-mile Indianapolis Motor Speedway oval on April 24. The next race for the NTT IndyCar Series will be the INDYCAR Grand Prix, contested on the 2.439-mile road course at IMS. It will take place on Saturday, May 11 at 3:30 p.m.